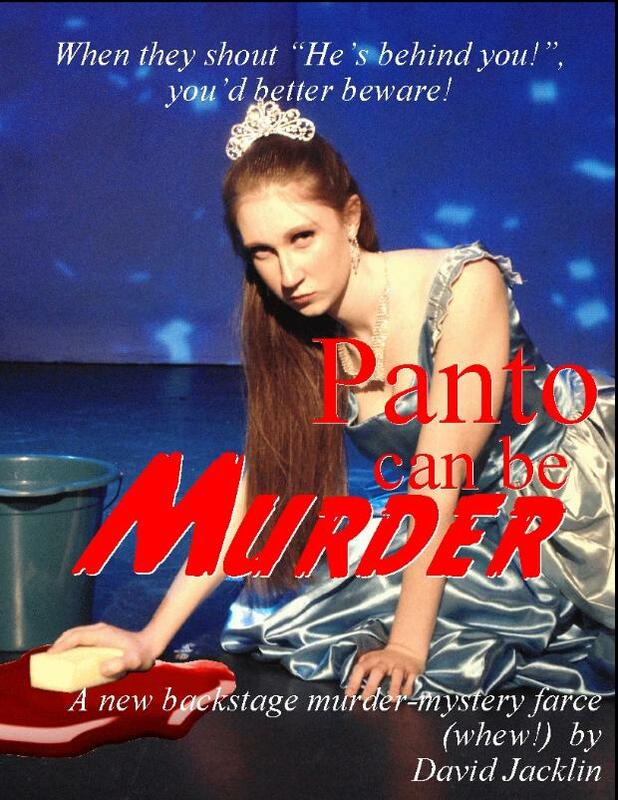 Comments from the premiere of PANTO CAN BE MURDER: "It's hilarious!" NOTE: although shown separately, the Cinderella Panto script below is not available for production separately, unless Panto Can Be Murder is also produced. However, think of the savings in costumes, sets, props, etc -- not to mention rehearsal time -- if Cinderella is produced first (say, for Christmas) and Panto Can Be Murder is produced subsequently. As we have found, it is also hugely helpful for rehearsal when most of the cast already know half of the script! And, Cinderella is bleedin' hilarious! Here's our December 2017 Cinderella in 30 seconds! And here's a vid of the craziest, most dangerous song ever devised, which we used as our finale ultimo. Only one serious injury in the whole run! Everybody loves a backstage farce. Now, here's all three together in one! "So much fun to see the Cinderella characters backward!" A company of (somewhat) professionals are gathered at a regional civic theatre somewhere in the U.K. to present their annual panto: this time, it's Cinderella. All of the usual suspects are there: the Dame/producer of the show; the two Ugly Stepsisters; an innocent lovely Cinderella; the Fairy Godmother; Buttons, Dandini, a Prince. All augmented by the backstage crew. and twenty minutes into the show, the Dame turns up DEAD! you should see his Twankey! This is just crazy fun, on both sides of the set, as the panto is played OUT OF SIGHT, but definitely heard, on the other side of the set, while the murder-mystery is solved in view of the audience. Here's our February 2018 premiere of Panto Can Be Murder condensed into 1 minute! ﻿Most of the performers play two roles: the character of the “actor” whom they are portraying and the character the actor they are playing is playing in the panto that is playing behind the set. Confusing, isn’t it? Not really.